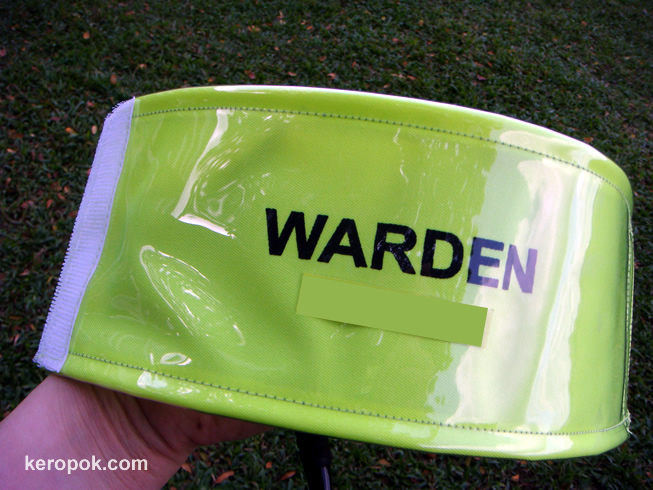 Anyway, this was what the fire warden wore on their shoulders to identify themselves as wardens. When was the last time you participated in a fire drill? When we have a fire drill, most of us disappear around the plan time/date...cos it is quite a walk down from 55th storey of UOB Plaza 1.